Entrance to this apartment is located in Perry Lane. 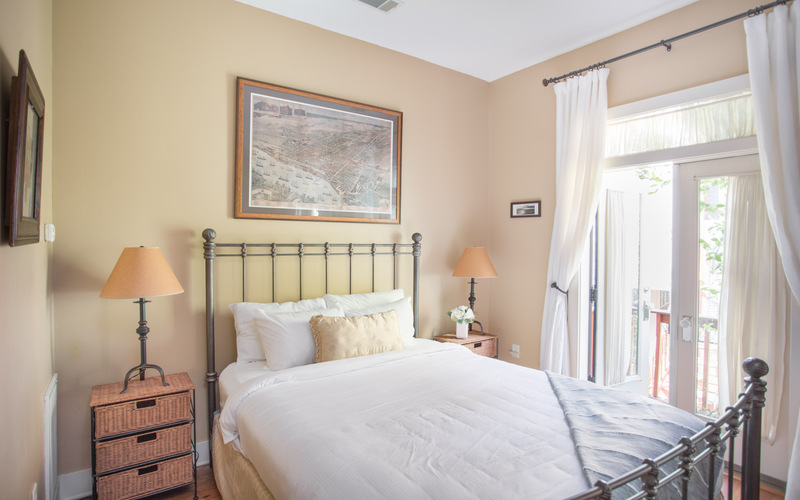 French doors open up to two small balconies off the bedroom. 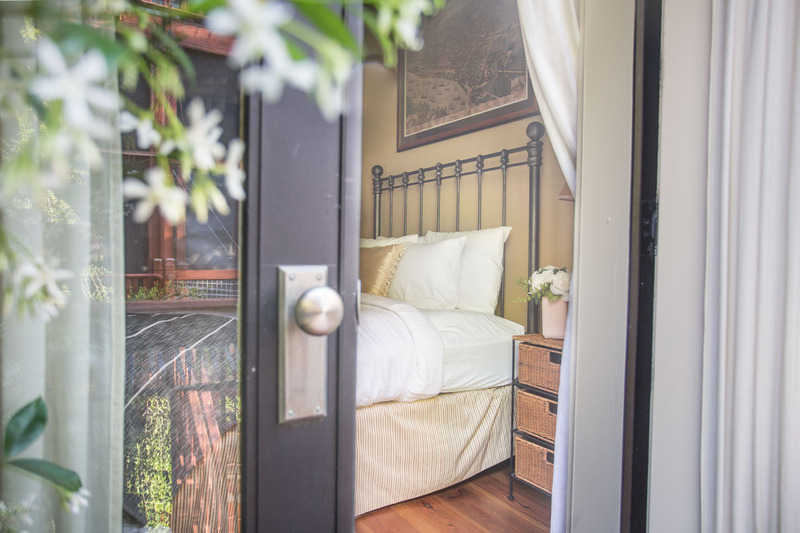 Wake up to the sweet smell of jasmine just outside your bedroom. Welcome to your apartment! Watch from TV from the bed or the large leather sofa. 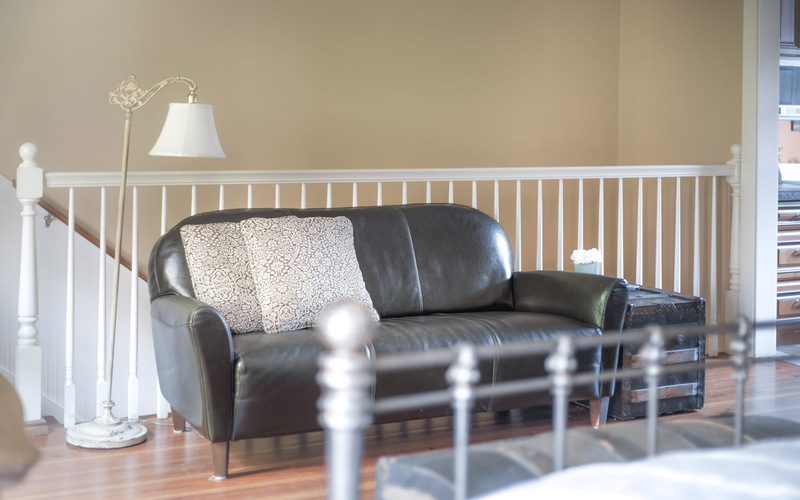 The breakfast nook is perfect for a morning coffee and croissant. 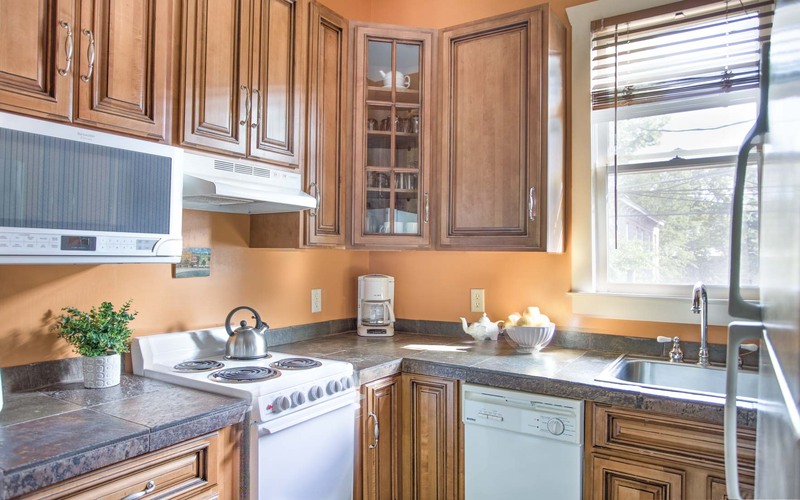 The kitchen is spacious for a studio apartment. 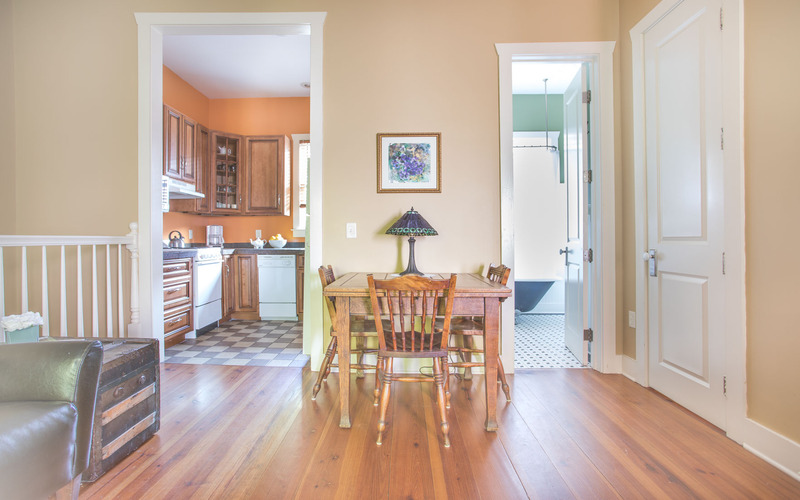 All of the modern amenities you're used to, in a traditional setting. 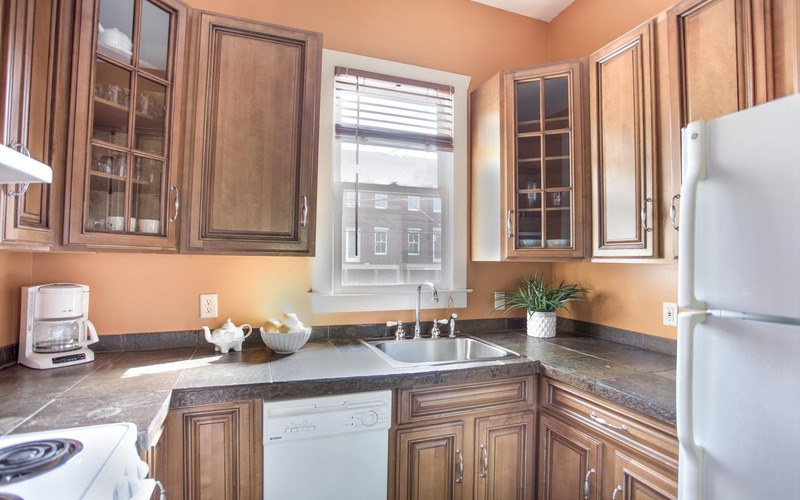 The kitchen is equipped with everything you need. This apartment is spacious for a studio! 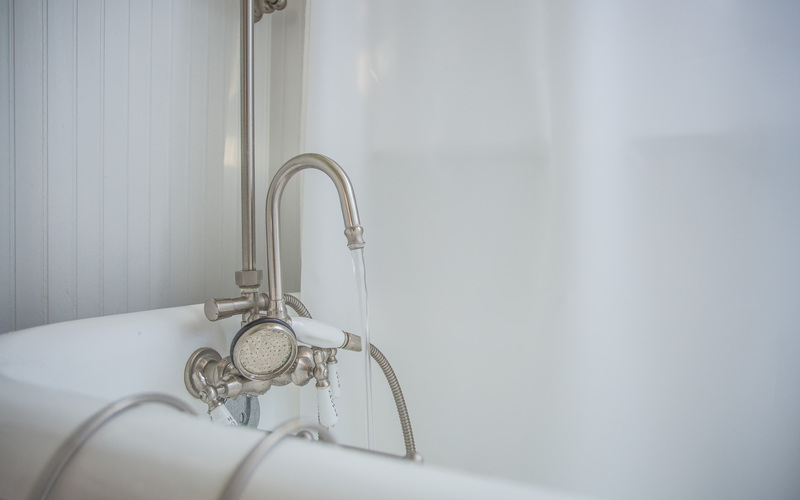 The clawfoot tub also functions as a standing shower. 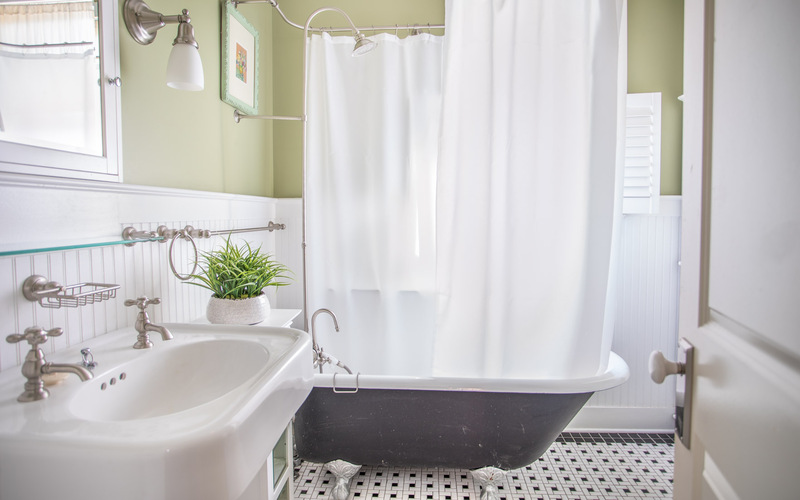 The full bath includes a pedestal sink and tub/shower combo. The brushed nickel towel warmer adds relaxation to your end of day. Soak your feet after a long day of sightseeing. 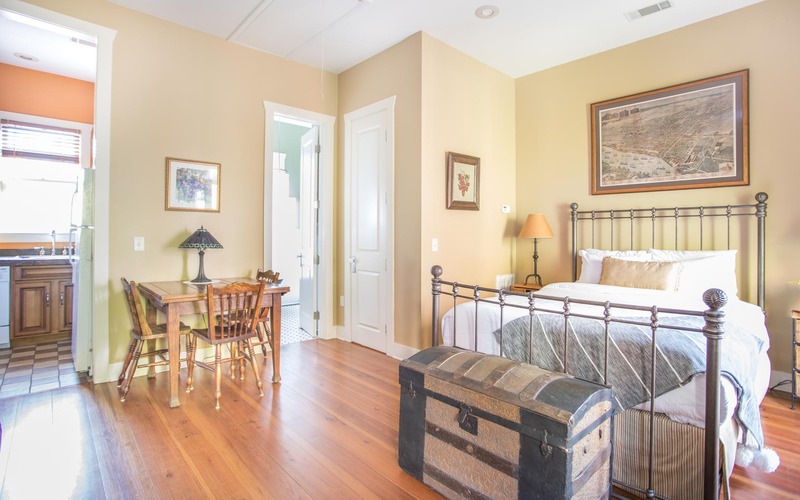 Experience all Savannah has offer in this stylish studio apartment. 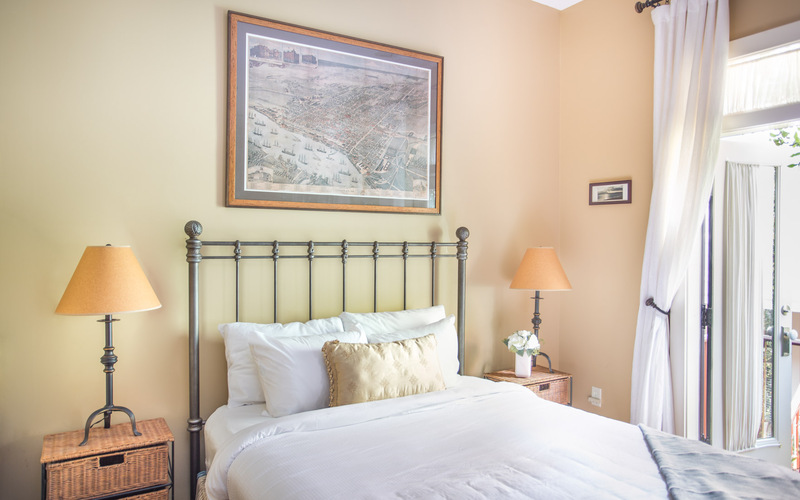 Just steps off of Crawford Square, Perry Lane Carriage House is perfect for travelers looking to find the heartbeat of the city without compromising a good night's rest. Your private entrance is located in Perry Lane. 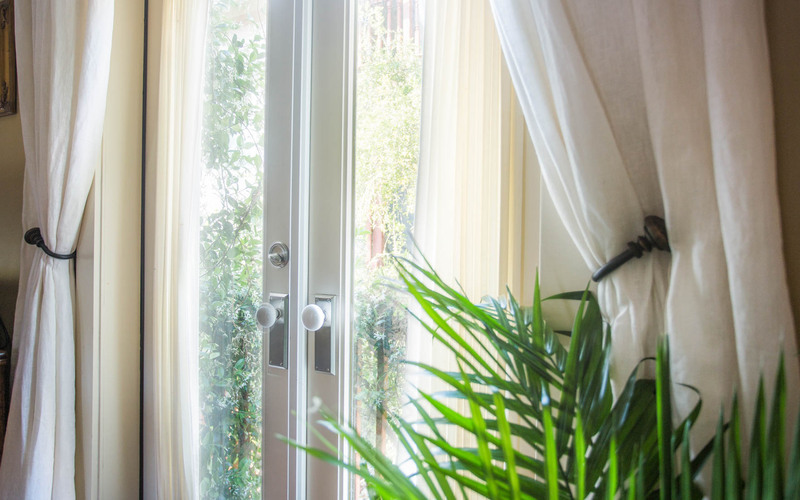 Two sets of French doors fill the living space with light, and lead to a small balcony where you can breath in the jasmine scented air each morning. 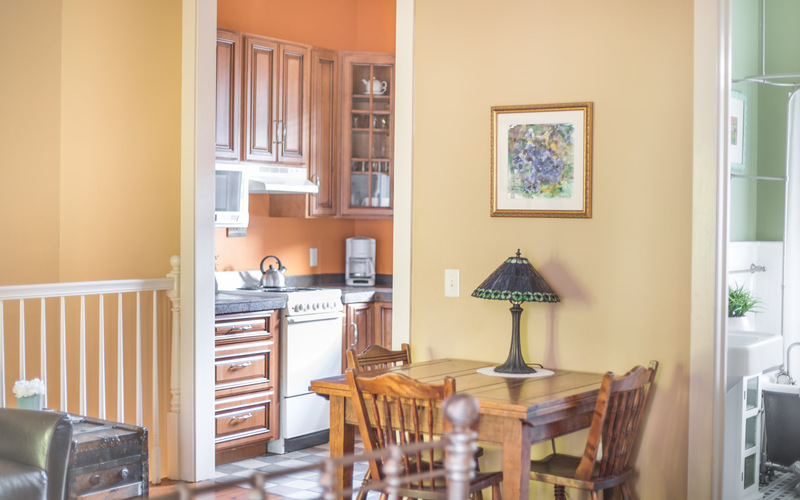 Relax on the sofa or plan your day at the breakfast nook, located just outside the kitchen. 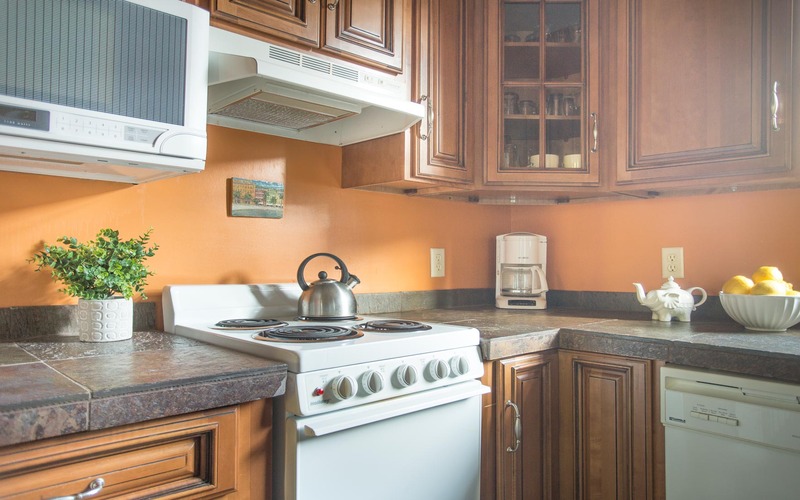 Spacious for a studio apartment, the kitchen has all the modern amenities you need for a comfortable stay. 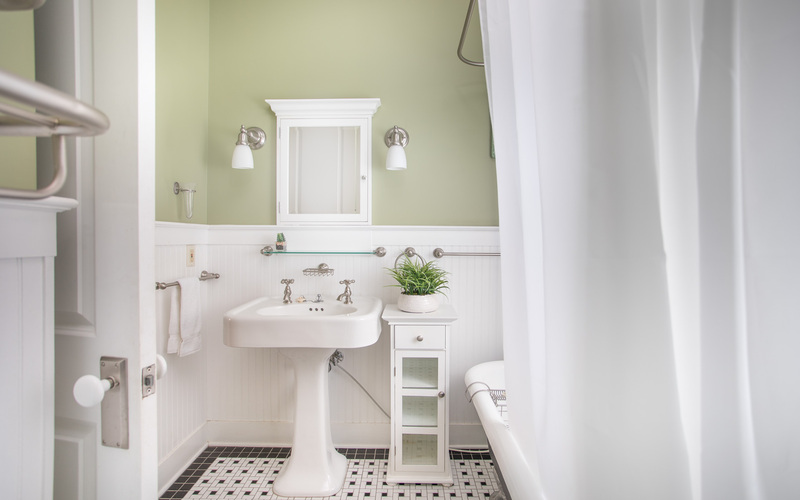 The full bath features a pedestal sink and clawfoot tub, perfect for a relaxing bath after a day of sightseeing. You’ll have the best of Savannah’s dining and entertainment at your fingertips. 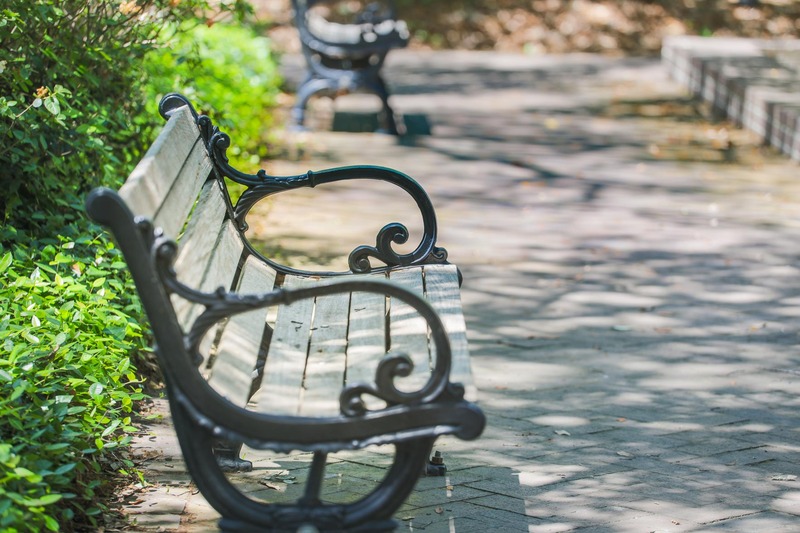 Enjoy breakfast at nearby J. Christopher’s before heading to Colonial Park Cemetery, where you can meander through tombstones for a bit of spooky history. 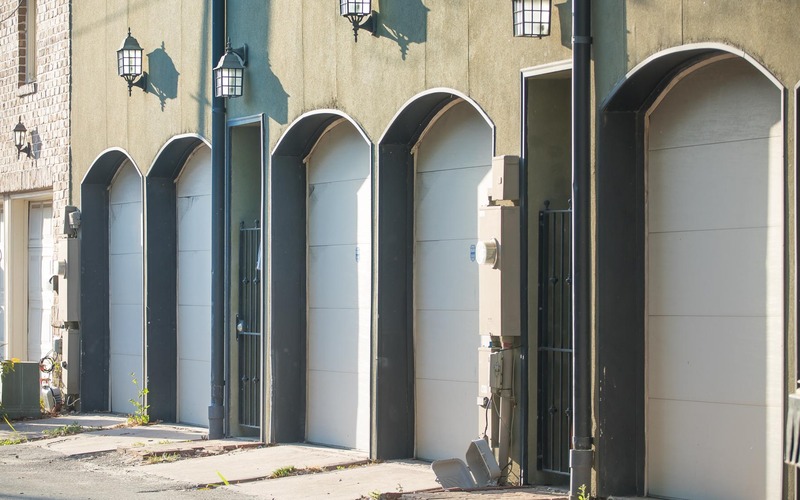 This unit has free, on-street parking right outside the front door. Availability will depend on time of day and season. Our guests have not reported trouble parking near the home, even on the busiest of weekends. This little studio wasn't so little at all. My husband and I frequently wondered aloud why we live in so much space when this place seemed to be all we needed. The space was clean and airy. The bed was super comfy for me (my husband prefers a firm mattress so he wasn't as impressed). The bathroom was stocked with enough tissue, soap and shampoos for the weekend. The location was great! We were able to walk almost everywhere we planned to go; and even took advantage of the breakfast recommendation J. Christophers (divine!). Closet space is plentiful. Critiques: the balcony was overgrown with trees and unusable. It directly faces other balconies so we probably wouldn't use anyway (bummer). Must park on the street and pay for parking. It isn't expensive, but seems unnecessary since a garage is attached - should come with the rental. Our fridge was filled with rotten tomatoes. It seemed purposeful, but we didn't understand. If you're a coffee lover, bring your own - there was only one pack provided. The wicker furniture is pretty dusty inside. Finally, there is still noisy construction going on nearby. We noticed a previous reviewer note this, but hoped it would be done by now. Not so much. Overall, this was a wonderful stay for our needs. I'd definitely recommend it to a couple looking to enjoy a relaxing time together. 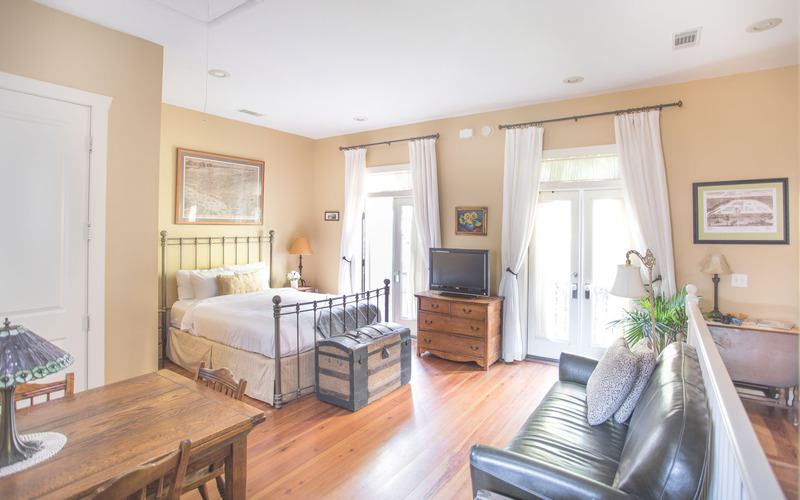 We had a great stay at the Perry Lane carriage house! Everything about the house was very nice. 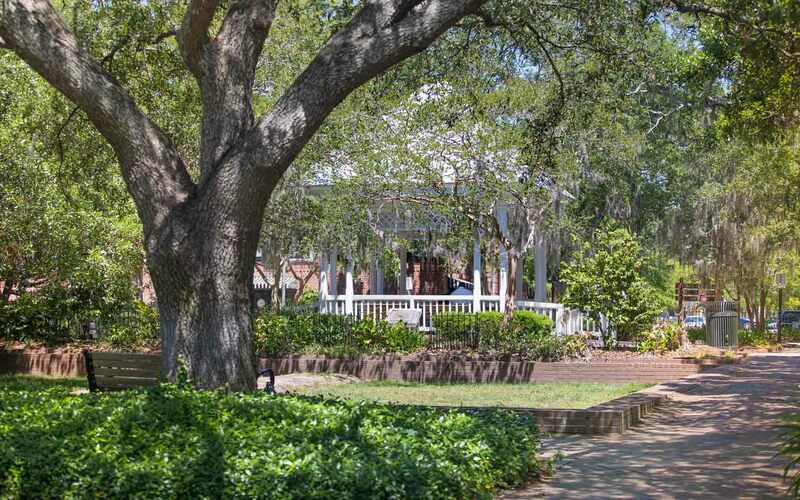 It's within walking distance to just about everything in Savannah. Look forward to staying there again. Only bad thing that happened was there was a huge roach on the kitchen counter one night during our stay. I informed management about it and they said it was because of the rains we had that week. Very cute studio near Crawford Square. We very much enjoyed our stay. The bed was very comfortable and the kitchen and bath we’re spacious for a small apartment. Please note that the stairs are steep...this was not a problem for us, but might be for others. The location was convenient any the interior was clean. The exterior could use a little tending, but overall it was great and we would stay there again! 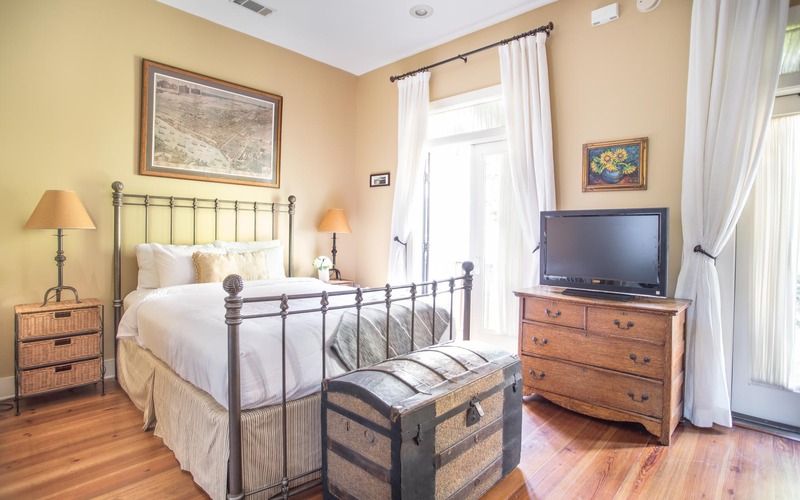 Savannah is a gorgeous, quaint city and this little carriage house is the perfect place to stay while exploring the city. It was clean, cute and super comfy. 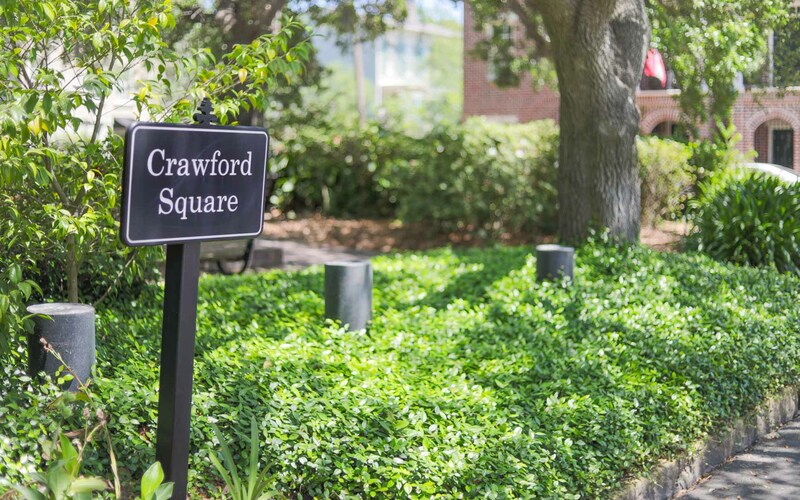 Located right off of one of Savannah's prettiest squares, it is conveniently located, too! The property manager was also quick to assist with our questions about check in. My wife's 38, I'm 40. This place is a studio style apartment. It is small but if your going to Savannah as a tourist this is all you should need. At first we were not fond of the shower/claw foot style tub but we got used to it by the 2nd day. I can say it was very quiet at night and we slept like babies. Other than sleeping, we really spent very little time there anyways. If you plan on staying out in the city alot, this place is for you. We walked about 15 miles total in our 3 day stay. There was a time or two we drove to locations like Bonaventure, Wormsloe, Tybee and Forsyth Park but other than that, we walked. Unless you have health issues of some sort, walking wasn't an issue. We walked from one end to the other, day and night and found it to be no problem at all and a great location. I would recommend taking plenty of $1 bills and quarters for parking though! Sundays are free but it goes back to normal at 8am Monday morning. I can tell you that at 845am they were already on Perry LN checking the spot #s times and luckily I walked out to feed the meter just in time. Ghost tours were a bit of a disappointment to us (Sorrell-Weed and pub crawl) but where all we chose to eat was not! Be sure and try The Cotton Exchange and the shrimp and grits. We spent 3 nights in this charming unit. It had an old world romantic feel to it with double French doors leading to Juliette balconies. Cozy, stocked with all you could need, close to many restaurants and the special squares of Savanah. Our host answered the phone and was a great help in giving us access to the unit when our flight was late putting us in around mid-night. We would go back in a heart beat. Thank you for choosing Lucky Savannah, Dave and Katie! 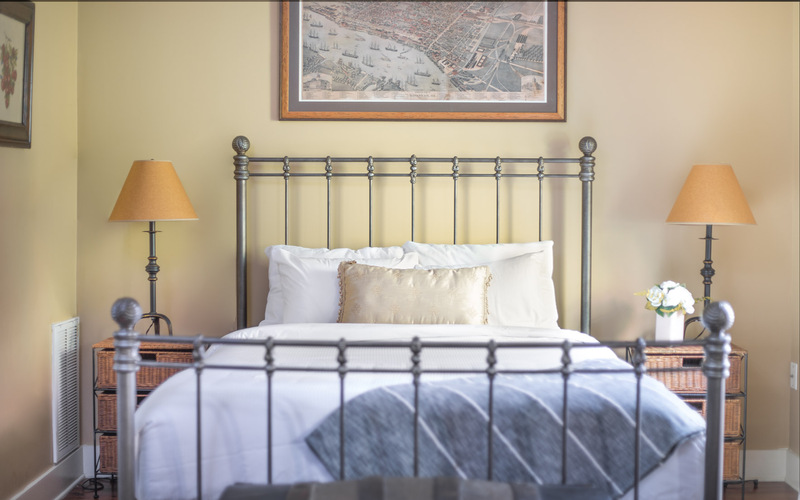 We're so happy to hear that you enjoyed Perry Lane Carriage House and look forward to hosting you again soon! 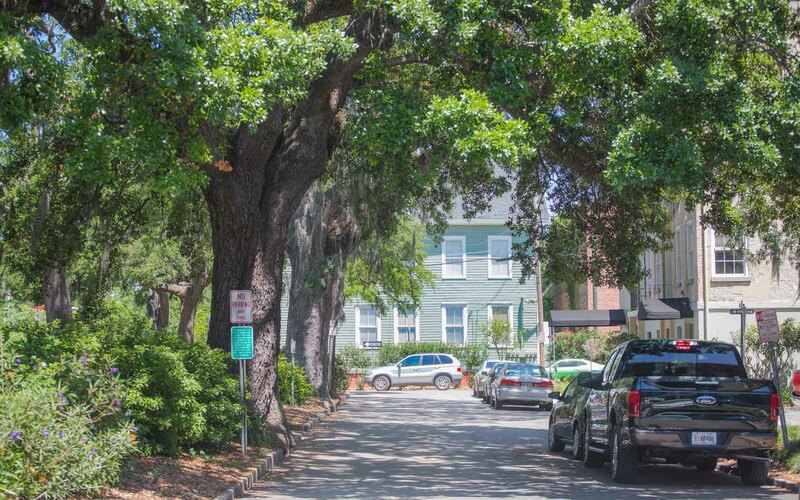 Our rental was conveniently located within walking distance of almost everywhere we wanted to go on our weekend in Savannah! We were able to walk to the beautiful parks and squares, the historic district and the river walk. The place itself was very quaint and clean. I would happily stay here again! Leslie, thank you for choosing Lucky Savannah. 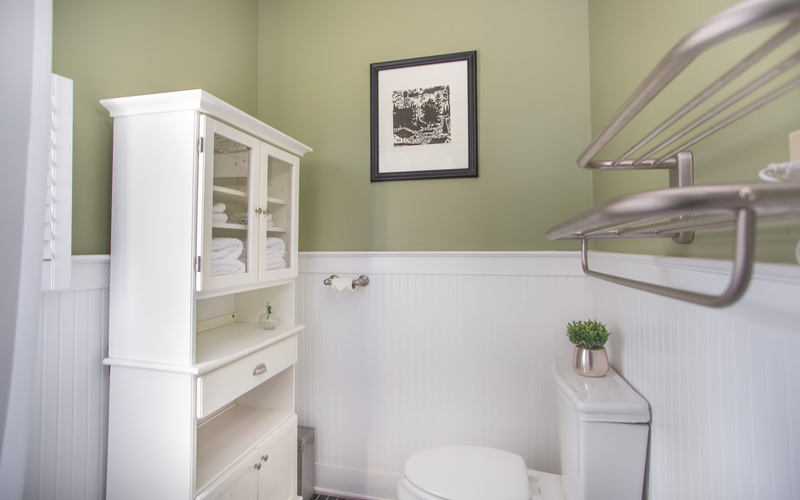 We're happy to hear that Perry Lane Carriage was a great fit for your weekend getaway. Looking forward to hosting you again soon! Virginia, thank you for choosing Lucky Savannah! We're so glad you enjoyed your rental! Also, thank you for your suggestions. 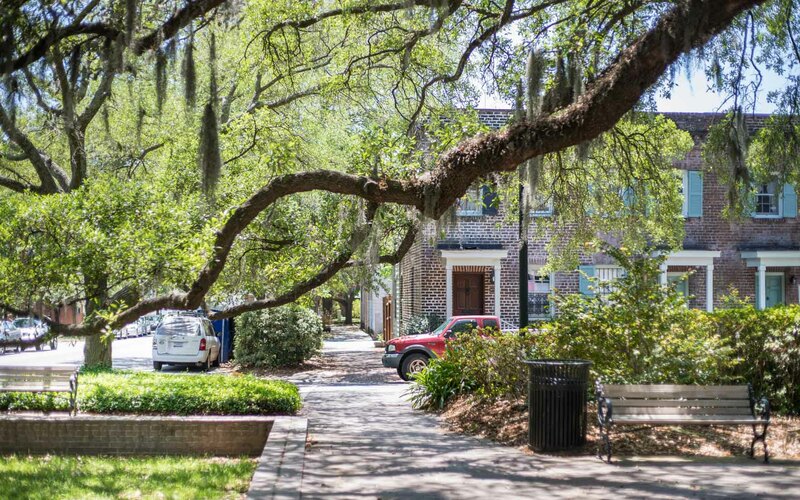 We do place a book labeled, "Savannah," in your living area that has information on the area. Also, we offer a 24/7 Guest Line that is always available to assist you! We hope to see you again soon! The room was really nice, not for anyone that can't do stairs ...River Walk was a little further than we anticipated. We would've loved to have known about the DOT (free buses to get one all over the area) ... the balcony much smaller than the pictures show... but all the same, the room was nice and location quiet. My husband and I loved this location. We were able to walk everywhere we wanted to go which was something I was worried about because I'm pregnant, but we had no trouble finding our way around. Even when we did choose to drive somewhere we were always able to find parking close by. The bed was amazing and comfy and the entire apartment was clean. It was a nice place to rest at the end of a long day. We would absolutely recommend this location, and will probably stay there again ourselves. Easy check in and out. We couldn't have had a better anniversary trip. I absolutely loved the suite. It was light, airey, and clean and modern. The one thing I was dissatisfied with was the rental company did not fix one of the French doors. it would not unlock. I call and emailed several times,but to no avail. they did get back to me to tell me they received my email and that someone would be in touch . I continued to email and call, left messages and never heard from them. I'm glad it was not an emergency, as there was no other contact. Pat, thank you again for choosing Lucky Savannah! We're so happy to hear that you loved the suite, and do apologize for the lack of communication regarding the French door. Our maintenance team has since resolved this issue. © 2019 Lucky Savannah All rights reserved.